Tom Brady, New England Patriots – Brady is expected to play in Week 12, but he’s listed as questionable with a knee injury as well as an illness. He missed practice on Friday due to the illness, but I’d still expect Brady to be active. Owners will certainly want to double check their lineups on Sunday morning prior to the Patriots’ 1:00 EST kickoff. Joe Flacco, Baltimore Ravens – Joe Flacco injured his hip in Week 9 and hasn’t seen the field since. He was previously seen on crutches for his injury and surgery was on the table at one point. However, it seems as though Flacco can avoid surgery with rehab and rest. He has yet to practice, so it’s no surprise to see him ruled out in Week 12. Rookie, Lamar Jackson, will get his second straight start against a terrible Oakland Raiders defense giving up the 12th most fantasy points to the quarterback position. Ryan Tannehill, Miami Dolphins – Ryan Tannehill is set to return and start for the Dolphins in Week 12 after being removed from the team’s final injury report. He hasn’t played since Week 5 as he’s been dealing with an injury to his throwing shoulder. It’s unclear how effective Tannehill will be during his first start, given that he admitted he’s still throwing with pain. Additionally, he could easily aggravate his injury if his arm gets hit while throwing or he gets sacked on his right shoulder. Stay away in fantasy. Sam Darnold, New York Jets – The Jets’ first round pick, Sam Darnold, is out for Week 12 with the same foot injury that forced him to miss Week 10. Despite the bye week in Week 11, Darnold has yet to return to practice. Josh McCown will get another start against the Patriots. Marcus Mariota, Tennessee Titans – Mariota had a nice couple of games in recent weeks, but he may miss Monday Night Football against the Texans. He suffered a stinger in Week 11, which is basically a big, quick stretch across the nerves as they exit the neck and go into the arm. It can lead to numbness and tingling, and sometimes, weakness. Mariota dealt with an ulnar nerve contusion earlier this season, and we saw his play suffer as a result. I expect Mariota to draw the questionable tag, but I’m looking for a better option elsewhere. If he sits, Blaine Gabbert would get the start, which would be an obvious downgrade for the entire offense. Melvin Gordon, Los Angeles Chargers – Gordon is listed as questionable for Week 12, and this one makes me a bit nervous. 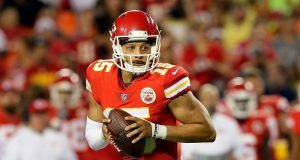 He missed the Chargers game in London a few weeks ago with a hamstring strain and he reportedly had his hamstring injury aggravated this week despite playing very well in Week 11. In addition to the hamstring, Gordon has been dealing with knee soreness, and according to head coach, Anthony Lynn, the knee is a bigger concern heading into Week 12. He should truly be viewed as questionable heading into Sunday. The Chargers have a dream matchup against the porous Cardinals rush defense. In a game where they likely don’t need Gordon to win, I wouldn’t be shocked to see Gordon sit. Sony Michel, New England Patriots – Michel returned last week from a left knee injury, which he suffered against the Bears in Week 7. After having the bye week for extra recovery, he is expected to be active despite the questionable tag. The Patriots didn’t give Michel much work (just 11 carries) during his first game back from injury, but I expect Michel to receive his full workload on Sunday. Alex Collins, Baltimore Ravens – Collins has drawn the questionable tag for Week 12 after popping up on the injury report with a foot injury on Thursday. He returned to practice on Friday, so it’s likely he does suit up. Despite a plus match up against Oakland, he’s difficult to trust with undrafted free agent, Gus Edwards, starting to get more playing time. Ronald Jones, Tampa Bay Buccaneers – Jones has been out with a hamstring injury since Week 8. He is listed as questionable, but he got in a full week of practice, so I expect him to be active unless he suffers a setback during pregame warm ups. 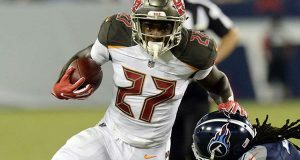 Jones will serve as the change of pace option to Peyton Barber against the Niners. Devin Funchess, Carolina Panthers – Funchess is listed as doubtful for Week 12 against the Seahawks and is unlikely to play. 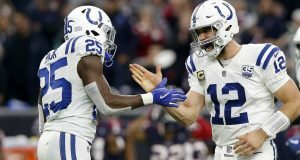 He’s been dealing with a back injury throughout the week, forcing him to miss practice every day after injuring his back late in the team’s Week 11 loss to the Lions. His absence this week will allow D.J. Moore to further supplant Funchess as the WR1 in this Carolina offense. 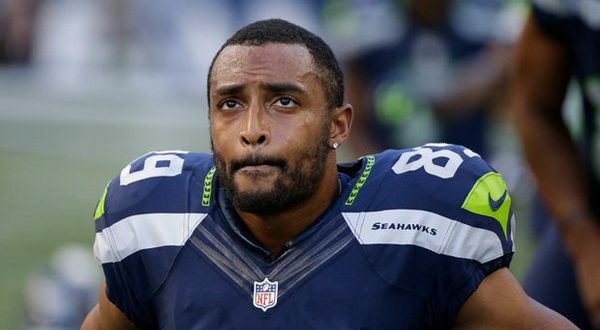 Doug Baldwin, Seattle Seahawks – Baldwin finally found the end zone in Week 11 in what has been a disappointing season thus far. However, it looks like that disappointment may continue with Baldwin a game-time decision for Week 12. He didn’t practice at all this week with a groin injury. He is expected to test his groin out in pregame warm ups, which for a wide receiver, makes me nervous. Groin injuries get stressed with any sharp turns, or cuts, which is obviously a crucial movement for wide receivers. Baldwin is very risky in Week 12 if he’s active. A.J. Green, Cincinnati Bengals – Green originally injured his right big toe late in the game during the team’s Week 8 game versus the Bucs. After seeing foot specialist, Dr. Robert Anderson, it was determined that Green could avoid surgery and return at some point this season. It’s now Week 12, and Green remains out with a turf toe type of injury. There’s been conflicting reports that Green was at one point “likely to play,” and that he was expected to practice, but that never happened. Green is listed as questionable for Week 12 against the Browns, but he didn’t practice at all, so it’s hard to see a scenario where he suits up. Even if he’s listed as active, he’s a must sit for me given his injury. The big toe gets stressed a lot with every step an athlete takes, especially with sprinting. This injury carries a high risk of aggravation during the game, so keep him on your bench. Randall Cobb, Green Bay Packers – Cobb has been dealing with a hamstring strain for the majority of the year, as he originally injured it in Week 3. After returning to the field in Week 8, he aggravated the injury in Week 9 and has been out ever since. He’s listed as questionable for Sunday Night Football after returning to a limited practice this week. Keke Coutee, Houston Texans – Coutee returned to action in Week 11 against the Redskins with a solid 5 reception for 77-yard outing after missing the previous three weeks with a hamstring strain. He’s listed as questionable for Week 12, but given that he returned last week, he should be active for this one. Barring a setback, Coutee will be active. D.J Chark, Jacksonville Jaguars – Chark has likely not been a staple in your fantasy lineup during his rookie year, but he’s been ruled out for Week 12 with a quad injury. He’s been playing as the team’s third receiver, but with Chark out for this week, Keelan Cole has an opportunity to regain his role in the Jaguars’ passing offense. Tyrell Williams, Los Angeles Chargers – Williams missed practice Wednesday with a quad injury but returned to limited practices later in the week. He is listed questionable for Week 12 against the Cardinals, but I do expect him to be able to go. If not, Mike Williams should see a healthy target share as the WR2 for Philip Rivers. Danny Amendola, Miami Dolphins – Amendola is listed as questionable with a hamstring strain, but this is likely just a formality at this point, as the Dolphins continue to limit his practice reps. He hasn’t missed any games recently, so he’s not in danger of missing Week 12. Personally, I think he’s a sneaky play as he’s been very reliable over the past several weeks. Since Week 6, he’s caught 5 or more receptions in every game. DeVante Parker, Miami Dolphins – Like Amendola, Parker is listed as questionable coming off the bye week, but he should be active for Week 12. He returned back in Week 8 and hasn’t missed any games since then, so like his teammate, this is more of a formality. Expect Parker to be active for week 12. Robby Anderson, New York Jets – Anderson has been battling an ankle injury all season, and the same is true for Week 12. He only got in one limited practice on Friday, so he should truly be viewed as questionable against the Patriots. If active, he’ll be out there at less than 100%. Stay away in fantasy football. Jordy Nelson, Oakland Raiders – Nelson missed Week 11 with a knee injury, but he’s got a chance to play in Week 12 after getting in limited practices. After losing Brandon LaFell to a torn Achilles and trading away Amari Cooper, the Raiders are desperate for pass catchers. DeSean Jackson, Tampa Bay Buccaneers – Jackson has been listed on the injury report with a thumb injury for the past couple of weeks. He played through the injury last week, so I would anticipate that he’ll be active again in Week 12. Rob Gronkowski, New England Patriots – Gronkowski is listed as questionable, but he’s expected to return to the field in Week 12 against the Jets. Gronk hasn’t played since Week 8 as he’s been dealing with a variety of injuries, including ankle and back injuries. Coming off the bye week, Gronk should take the field. However, it’s certainly possible that he reaggravates his back, as this is going to be an ongoing issue for the rest of his NFL career. David Njoku, Cleveland Browns – Njoku is listed as questionable for the team’s Week 12 tilt with the Bengals. He’s been listed on the injury report for the past few weeks with the same knee injury but has yet to miss any games, despite being limited in practice. He should be active for this one. Jimmy Graham, Green Bay Packers – Graham fractured his right thumb during Thursday Night Football in Week 11 against the Seahawks. He was engaged with a defender while blocking and appeared to get his thumb stuck in the defender’s facemask. Expect Graham to play with a splint on his thumb and be severely limited while on the field. Blocking won’t be an issue, but it’s going to be painful and difficult for Graham to catch passes. If he’s active, I’d look for a better option at the tight end position. O.J. Howard, Tampa Bay Buccaneers – Howard’s second season in the NFL is over, as he’s been sent to injured reserve with a foot and ankle injury. Initial exams on Howard’s ankle appeared to be positive, but a yellow flag went up in my mind when news surfaced that he was getting a second opinion. Just a few days removed from the injury, Howard finds himself on injured reserve, leaving the door open for Cameron Brate to step in as the Bucs’ starter. His relationship with Jameis Winston is well documented, as he’s finished as a TE1 with Winston under center. Brate becomes an immediate starter in all formats. Previous: Dynasty Nerds Podcast Ep. 245 – Why Do We Play Dynasty Fantasy Football?